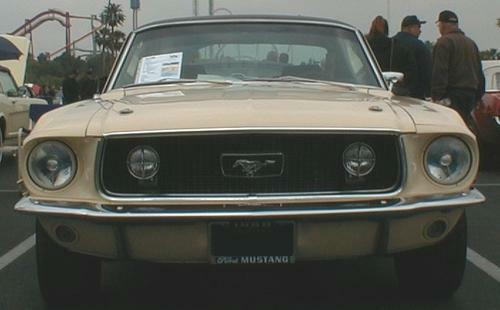 The first Mustangs were considered 1965 models by Ford, even though production started in March of 1964, resulting in an 18 month production time for the '65. 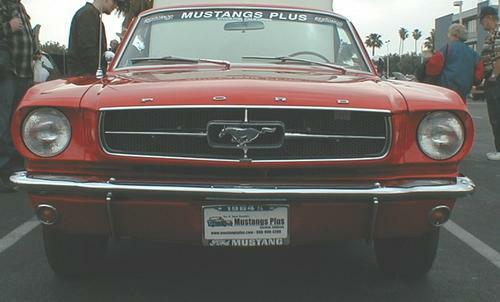 The start of the 2nd production run of the 65 Mustang was Aug 17, 1964. 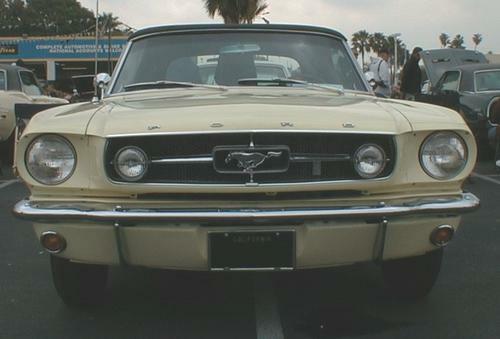 Cars built before that date are now referred to as "1964 1/2." For more info on the differences between 64 1/2 and 65, check out this page on shnack.com. 1964-1/2. 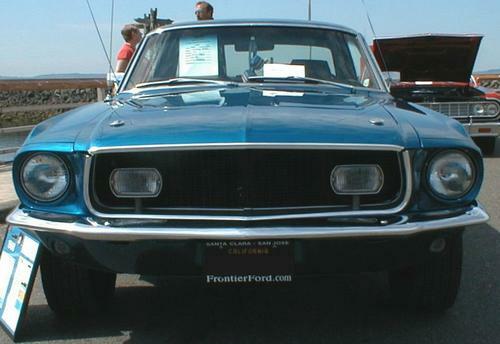 The grille of a "64 1/2" is nearly identical to the 2nd production run 65. The 64 1/2 pictured here has the chrome strip on the hood lip (just under the F-O-R-D letters). 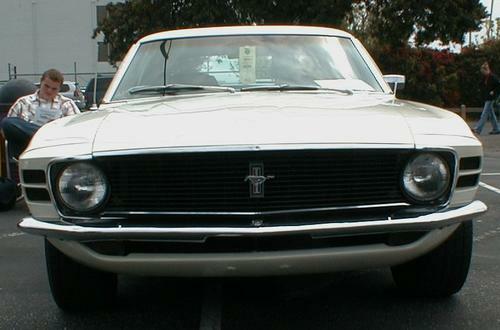 This may be a hood from a '65 (2nd production run). If you have a photo of a "64 1/2", please click "Contact" above. 1965. 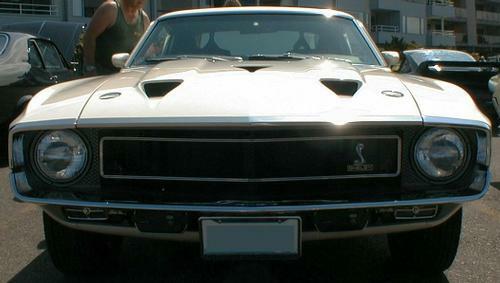 Grill mounted foglights were part of the GT package. 1966. 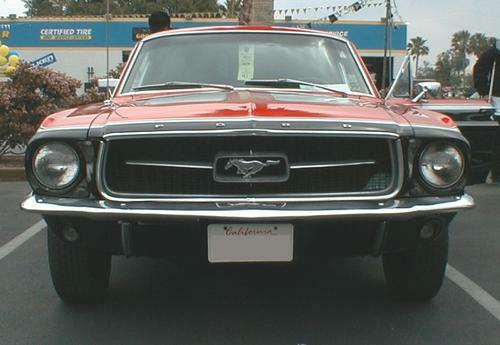 The '66 grille has no horizontal and vertical dividing bars - the running horse "floats". 1967. Bigger grille opening, and the bars are back. 1968. F-O-R-D lettering erased from the hood, and the bars are gone again. 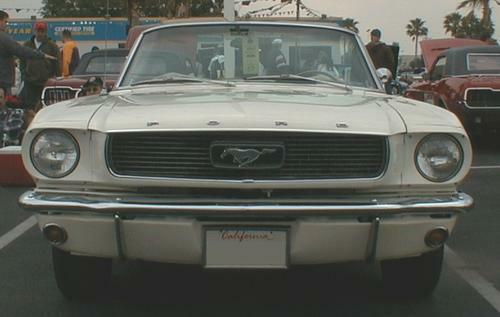 1968 California Special. No running horse on this grille. The only year for the CS, only 4118 were produced. 1968 California Special. Side view; note lettering on rear quarter panel. 1969. 4 headlights. Running horse is smaller and to the side. 1970. Back to 2 headlights.